Bottle Of The MacAllan Sells For Cool $1.1 Million At Auction – Whisky Critic - Whisky Reviews & Articles - Style. Attitude. Whisky. 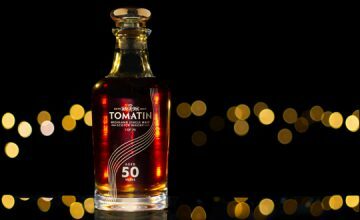 A bottle of The MacAllan whisky has just become the world’s most expensive bottle of whisky after being sold for a whopping $1.1 million at a Bonhams auction in Edinburgh. The Macallan Valerio Adami 1926 60-Year-Old – one of only 12 bottles produced – is not only unique because of the tiny production run but also because of its vintage and unique artwork from the renowned Italian painter. 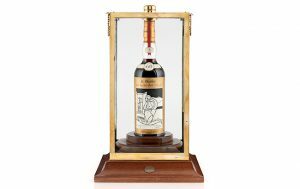 In 1926, The Macallan commissioned artists Peter Blake and Valerio Adami to design labels for a limited edition of 24 bottles -12 of Adami and 12 of Blake – and this particular bottle comes with its very own tantalus [specially-commissioned cabinet] as the previous owner had bought it direct from The Macallan distillery in 1994. Although 12 bottles of The Macallan Valerio Adami 1926 were produced, one is said to have been destroyed in an earthquake in Japan in 2011 with another believed to have been opened and consumed – and it is not known how many of the remaining nine are in existence.